Lucknow, Feb 9 : In her first reactions after the Supreme Court asked her to return the public money spent on memorials, Bahujan Samaj Party (BSP) President Mayawati on Saturday said that the media should not present the Supreme Court's comments in a twisted manner. In a statement made on the micro-blogging site Twitter, BSP supremo Mayawati said that she will present her side strongly in the honourable court. She also expressed hope of getting justice from the top court. The BSP honcho wrote, "It is better if the media and BJP people don't act like a torn kite." 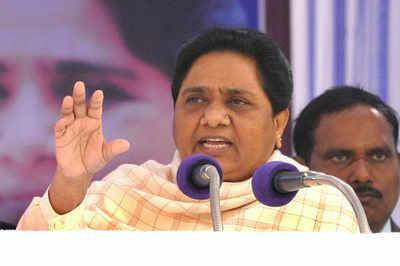 Ms Mayawati said that the memorials and parks made in the memory of the seers and the 'mahapurush' belonging to the Dalit and the backward community who were ostracized for centuries are the dignities and tourist spots of Uttar Pradesh. The former UP CM said that a regular income is also provided to the state government through these spots. Notably, the Supreme Court on Friday said that it was primarily of the view that the BSP chief should return back the money spent on the memorials constructed in Lucknow and Noida. The Supreme Court will conduct the next hearing in this matter on April 2.